Its a dry ,bright morning and the eden is at a good height and clear. Very fishable. There has been no change in river conditions they are near perfect. The weather is overcast and showery at the min. The eden has finally reached its normal height and is in great condition. The weather is breezy with sunny spells. The eden is in good condition (the water is still a bit cool , but the colour has dropped out) and the weather is overcast and still at the min. The eden has dropped to a good level and is in excellent condition .There has been some more rain , but it is not affecting conditions as yet. The weather is breezy and overcast. The eden is dropping again and is just reaching a fishable level . If there is no more serious rainfall it will be in good condition for the bank holiday .The weather is dry and bright. MORE RAIN YESTERDAY HAS LEFT THE EDEN UNFISHABLE WITH FLY. Its a dry bright morning and the eden is dropping slowly. 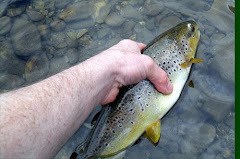 At the moment fishing with fly would be difficult , but could be in reasonable shape tomorrow if there's no more rain. Lots of rain yesterday and consequently the eden is unfishable. The eden is now dropping off to a reasonable level (with a tinge of brown in it) and the weather is dry and sunny. Over the last four days the river level has been up and down and at the moment is dropping , but there has been more rain. Presently the eden is fishable and the weather is wet , but still. The eden has dropped again to a fishable level , but there has been a fair amount of rain overnight which could affect levels much later in the day. The weather is wet at the min. Its a wet and windy morning and the eden is rising (about 8"so far) due to yesterday evenings rain and is currently unfishable with fly . The eden has dropped away nicely and is in very good condition and running with a slight tinge to it. The weather is dry and cloudy. In the last 24 hrs there has been a lot of rain and consequently the eden rose 18" overnight . At the moment it is dropping quite quickly but is presently unfishable with fly. The weather is dry and clear. Wet overcast morning with no wind . River levels have increased by a small amount overnight , but still below average. Overcast morning and rain is forecast for this afternoon ( HHHHmmmmm !! ). 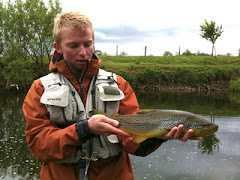 The river was largely unaffected by the previous days rain and is still lower than normal , but still fishing well. Its a damp cool morning and its still raining now, there has been a decent amount of rain overnight (much needed) but it has not affected river levels ,yet. The eden is still running clear and is fishing well. Its slightly cooler this morning than it has been lately and overcast. The river conditions are unchanged , but still very fishable. Another sunny clear morning and not a cloud in sight . The eden is running low and clear. Its another dry bright morning .The eden is running clear at a below average level. Its a dry and bright morning and river conditions are the same as previous reports. Theres been a bit more overnight rain and its quite cool and bright. The river has been unaffected by the rain and is still running at a slightly below average level. Theres been quite a lot of rain in the last few hours and its still raining now with no sign of stopping at the min. 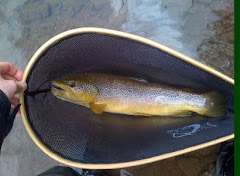 The river is unaffected at the min by the rainfall and is in good condition. Looks like another warm ,bright day in the offing. 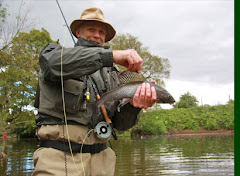 The river is clear and slightly below normal levels ,but still very fishable. All the warm weather recently has been warming the previously cool water, kicking the eden into life and promoting an evening rise. Its a cloudy warm morning and no sign of the predicted rain\thunder , yet ! The river is running clear and the level is slightly lower than the norm , but still very fishable. At the moment there is some patchy cloud and its warm already. The eden is unchanged. There has been some overnight rain but it is now a nice clear morning .The eden is still in good condition and levels are unlikely to change much. Its a nice still overcast morning , still a bit cool and river levels and conditions are still good. There's been some overnight rain and at the moment its a very still, overcast ,warm morning. The eden is still in very good condition and it is unlikely that the overnight rain will affect the river levels drastically.